Hair is known as the American Tribal Love-Rock Musical. It tells the story of the “tribe”, a group of politically active, long-haired hippies of the “Age of Aquarius” living a bohemian life in New York City and fighting against conscription into the Vietnam War. Claude, his good friend Berger, their roommate Sheila and their friends struggle to balance their young lives, loves, and the sexual revolution with their rebellion against the war and their conservative parents and society. Ultimately, Claude must decide whether to resist the draft as his friends have done, or to succumb to the pressures of his parents (and conservative America) to serve in Vietnam, compromising his pacifist principles and risking his life. Arts Collective Theatre is excited to introduce our new program 30 Under 30. This is a summer program that brings together youth 18 – 30 to develop theatre skills, be mentored by local artists, and produce a show. It is dedicated to celebrating Windsor-Essex County’s artistic talent under the age of 30. This program serves to bring together young artists as they look for ways to continue to showcase their talent both during and post education. 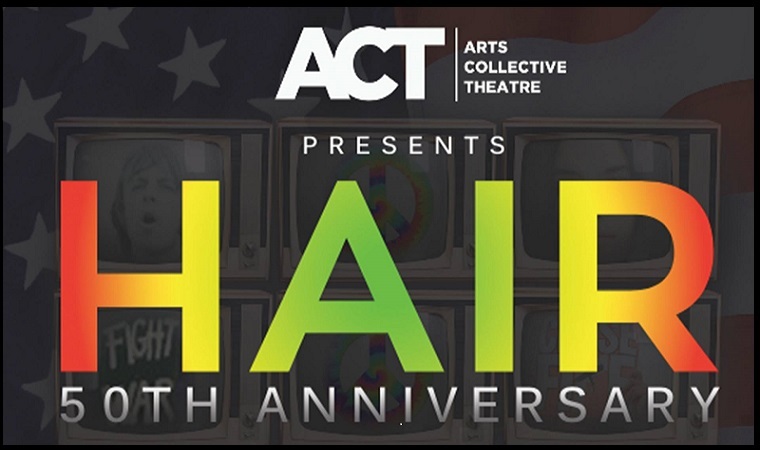 This year’s 30 Under 30 production will be HAIR, a show that celebrates its 50th anniversary this year.